The worse criticism you can level at a Star Wars movie is that it is boring. From the beginning of the highly anticipated first prequel to the much-loved “original trilogy” you can sense something isn’t right. The scrolling text is talking of trade disputes, taxation and treaties. The word Jedi is mentioned but it is hardly the stuff of space-battles and lightsaber duels. From there it feels clear that George Lucas has one eye on the merchandise. 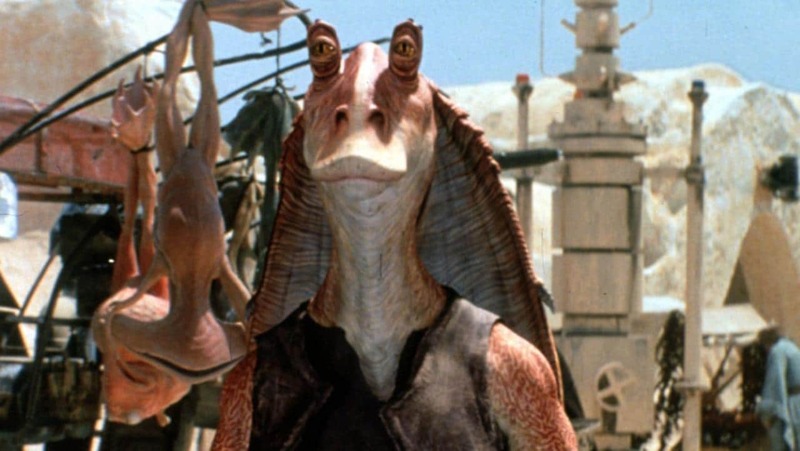 We are introduced to two new “villains,” two different kind of enemy robots and within twenty minutes we have met the infamous Ja Ja Binks. The Phantom Menace seems to be all flash and very little substance. In fact, the first half an hour doesn’t seem to have any coherent direction whatsoever. Cool effects, interesting aliens and of course more lightsaber use than the first three films put together but where is the interesting story? You don’t necessarily need a creative story to make a good Star Wars movie, Return of the Jedi is testament to that, but when you famously create a world of infinite possibilities, don’t become bogged down in political disputes and “votes of no confidence.” This is Star Wars, not House of Cards! There is some promise mid-way through the movie. Once the core characters land on the familiar planet of Tatooine, the movie shifts into “prequel” mode. Here Lucas begins to fill in the backstory and we meet Anakin Skywalker. Jake Lloyd gets a slightly harsh deal because as a young lad, in the central role of the whole franchise, he does a half decent job. He’s hardly the most charismatic but he doesn’t annoy as much as the newest CGI character that Lucas introduced in this movie too. The characters are one of the strongest aspects of the movie. Liam Neeson is a great choice for the main Jedi, Qui-Gon Jinn, while Ewan McGregor plays Obi Wan Kenobi very well considering where we know the character’s story will end. The bait and switch of Padme and Queen Amidala is also achieved effectively but you feel that Lucas could have handled it better as it becomes too obvious too soon. Star Wars isn’t supposed to be about the acting and story though. The fans want to see lightsaber duels, space battles and other creative action sequences. On some fronts, The Phantom Menace delivers action spectacle to rival any of the other movies. The lightsaber battle between Qui-Gon Jinn, Obi-Wan and the excellent enemy Darth Maul is one of the best of the whole six movie series. The creative, athletic and blink-fast speed at which it is fought, with John Williams’ incredible soundtrack amplifying it further, is amazing to watch. The only shame is that the ending of the battle removes characters you desperately want to see more of. The same excitement is felt in the pod-Racing too. The sequence is given a huge amount of screen-time but it is worth it. Lucas does well to make the audience feel the speed and there is enough moments within this one sequence to keep you entertained. It demonstrates some of the creative magic that is missing from the rest of the film. The movie does lack an effective space-battle though. The ending of the space-battle, the most under-whelming of the series so far, is farcical and the moment Anakin gets in the spaceship, the cold feeling of dread creeps in. The Phantom Menace tries too hard to appeal to children and the one thing Star Wars never was is silly. The end of the space battle falls directly into that category. 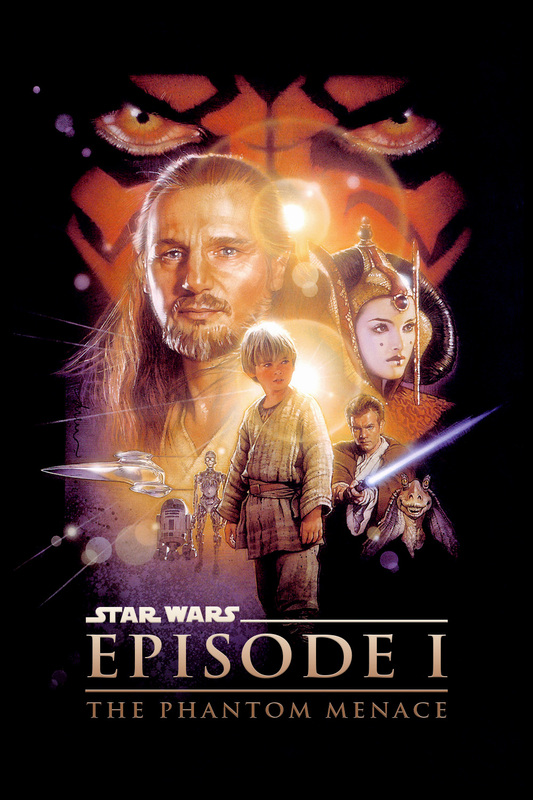 Overall, The Phantom Menace is how not to do a Star Wars film. With all the creative potential, an interesting backstory to tell and some cool characters, Lucas finds himself stuck in political jargon and issues with trade disputes and blockades. The moments of creativity, like the incredible lightsaber fight or the pod-racing, can’t seem to save this poor relation in the Star Wars family. Previous Previous post: Why don’t they make good Christmas films anymore?